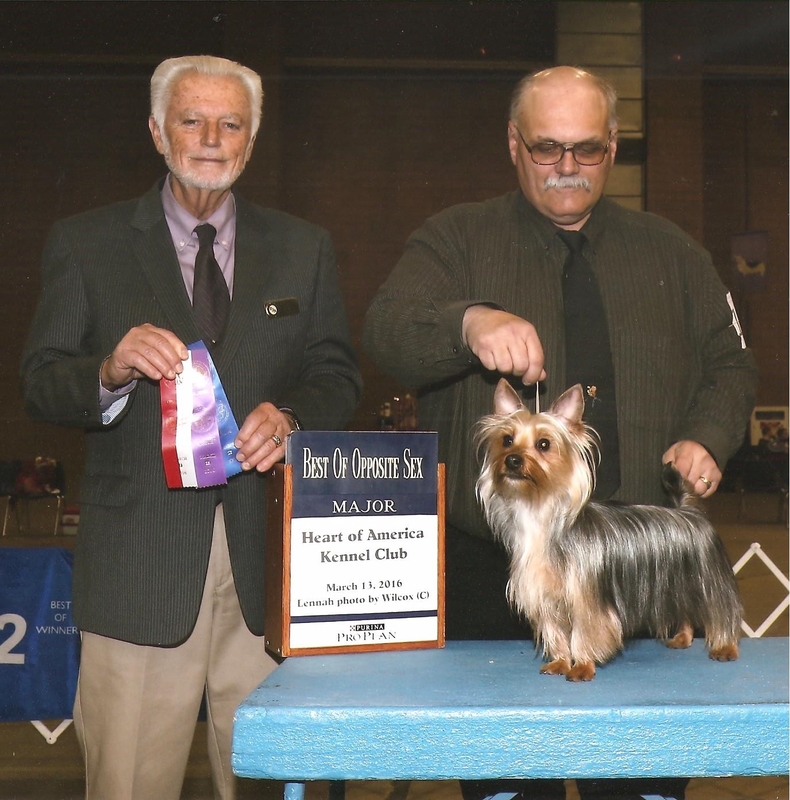 Poppy has been the most amazing Silky that we've ever had the privilege to show. She was a handful as a puppy. 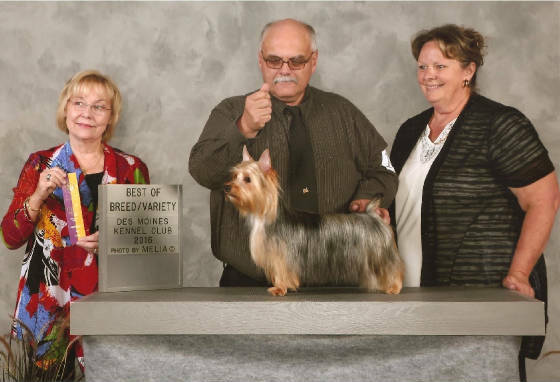 Once she settled down, she has been so easy to show. 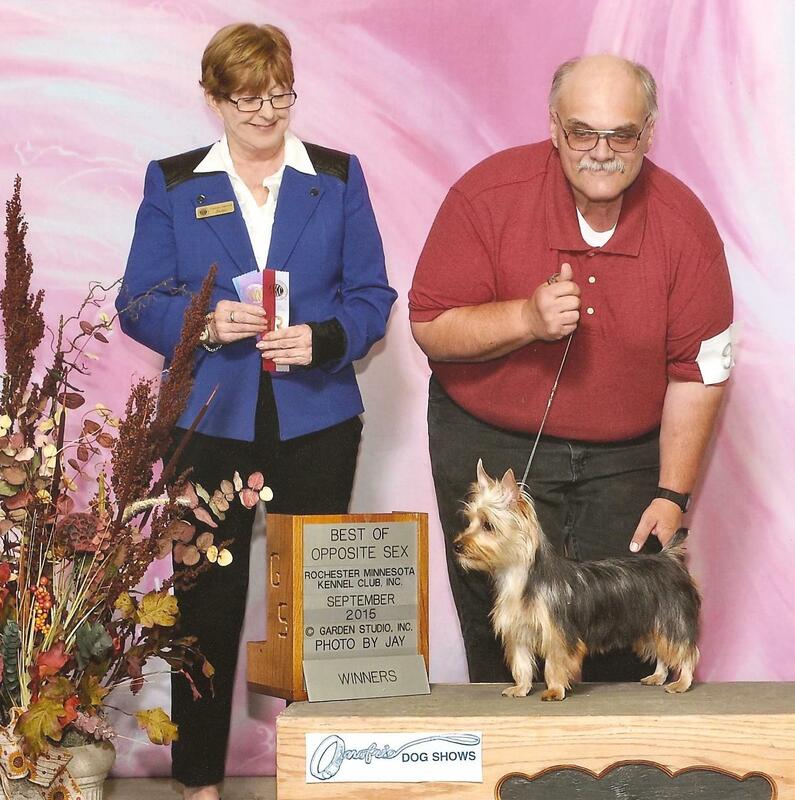 She has been shown mostly by my husband, Bob, and has earned all her points with him. She has also shown beautifully for my granddaughters in Jr Handling. Poppy loves everyone and "ain't afraid of nuthin;" Her toys are her passion. 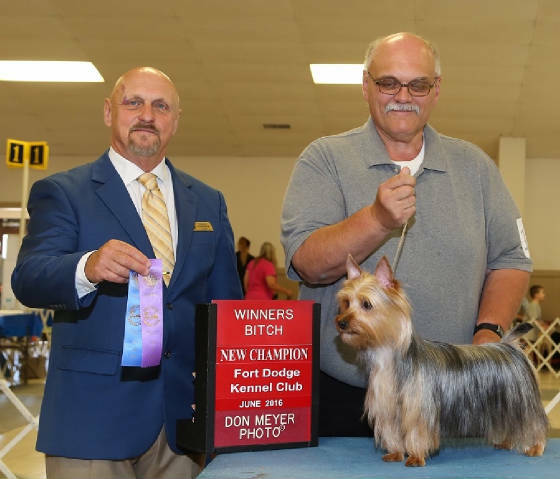 Poppy earned her Championship in June 2016 and is almost finished with her Grand Championship. 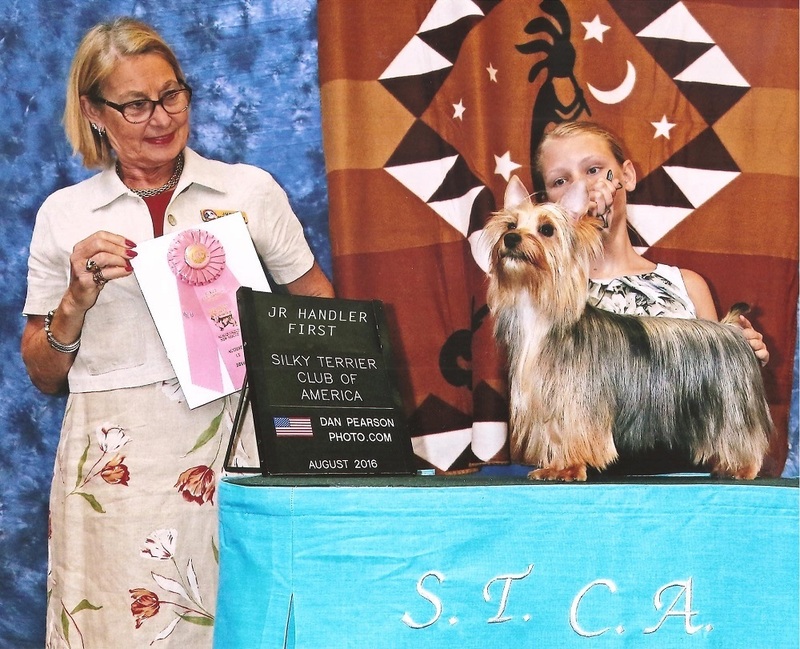 Poppy finished in the Top 20 for the Silky Terrier breed in the United States in 2016 and will be competing in the Top 20 Event at the Nationals in Albuquerque in August of 2017.